Our own Neil Swidey, whose writing for the Globe Magazine has earned a whole trophy case full of awards and accolades, is the new featured author on the Great Writers podcast. 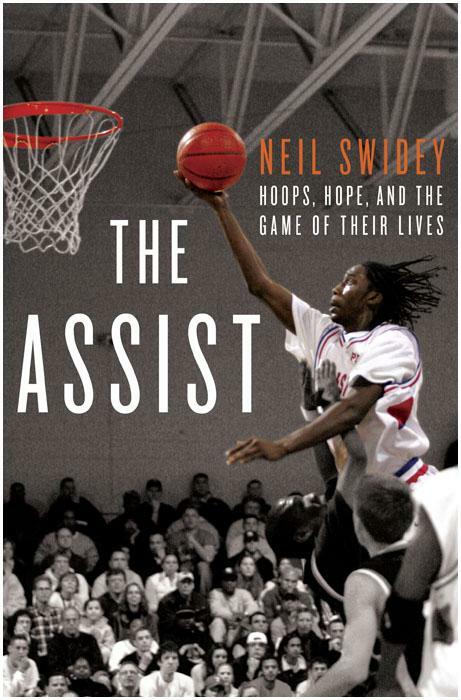 In "The Assist: Hoops, Hope, and the Game of Their Lives," Swidey chronicles the remarkable, multi-championship saga of the Charlestown High School basketball program. Playing in a school and in a neighborhood that were once the epicenter of racial conflict during Boston's busing era, a group of inner-city African-American youths and their hard-driving coach have established a remarkable record for earning both state championships and college acceptances. Swidey's engrossing reading and talk also mark the debut of the venerable Harvard Bookstore in Cambridge as a partner in the Great Writers podcast, joining fellow independent literary powerhouses Newtonville Books, Brookline Booksmith, and Wellesley Booksmith. Take a listen, you won't be disappointed. You can either go straight to the podcast or check out Boston.com's Podcasts page for other offerings. To subscribe to the podcast or to listen to previous episodes, you can either click on the RSS feed button on the Podcast page or visit the Great Writers page on iTunes.